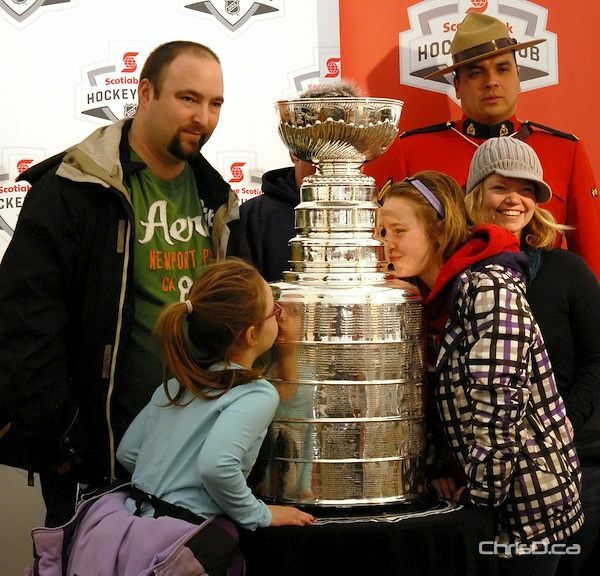 Hockey’s famed trophy will be in Brandon on Saturday as part of Scotiabank’s cross-Canada “Celebration of Hockey” tour. The Stanley Cup will be at the Brandon Wheat Kings game as they take on the Saskatoon Blades at the Keystone Centre. Fans will be able to get up close to the cup from 6:30 p.m. until the second intermission. “Whether you play hockey or cheer from the stands, the Stanley Cup is a cultural symbol that all Canadians can proudly identify with,” said Brian Boes, Scotiabank’s branch manager in Brandon. “The Scotiabank Celebration of Hockey program gives Canadians a chance to get close to hockey’s beloved icon. Last month, the cup spent an afternoon at Festival du Voyageur in Winnipeg.